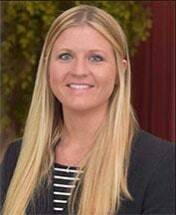 Kayleigh Messersmith is an attorney licensed to practice law in North Carolina. She has a broad legal background with experience in Worker's Compensation, Personal Injury, Compliance, Real Estate, and Lien Resolution. Currently, Kayleigh concentrates her practice in civil litigation and lien resolution for our personal injury and worker's compensation cases.